Your home is an investment, and home improvement financing can offer the funding you need to strengthen that investment with renovations, updates, and repairs. However, there are risks involved, and not all home improvement financing is the same. Using YGRENE you can improve your Impact Windows and Doors and get 100% financing. Easy and fast! Chances are, the project you want and need most is on the list. Alachua County, Brevard County, Broward County, Charlotte County, Citrus County, Clay County, Collier County, Escambia County, Hernando County, Hillsborough County, Holmes County, Lee County, Levy County, Manatee County, Marion County, Miami-Dade County, Monroe County, Nassau County, Orange County, Osceola County, Palm Beach County, Seminole County, Volusia County. Increase your property value and reduce utility bills with 100% PACE financing. Improve cash flow with nonrecourse, off balance sheet capital financing. Get your project started with a local, Certified Contractor today. Or fill this form and we will contact you ASAP. 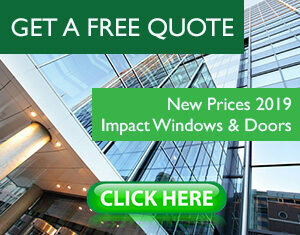 If you want, you can ask for a FREE QUOTE for your new Impact Windows or Impact Doors.